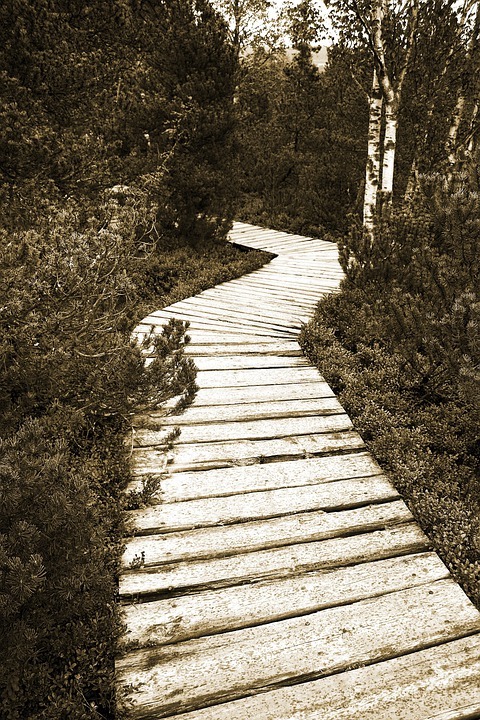 The picture was tagged: Path, Wooden, Wood, Sepia, Peat, Moor, Trees, Tree. it was made by Canon EOS 350d Digital camera with shoot mode: 18.0mm · ƒ/5.0 · 1/80s · ISO 100, gives a image excellent quality. The largest dimension is 2304×3456 pixels, you can download it with JPEG format.